LIVE, WORK or your family home is within the Castlebar, Balla, Ballyhaunis or Achill Common Bond area? Simply drop into any of our branches and we will be delighted to take you through the membership process. Access your account 24/7, view your account, transfer money or pay your bills. No nasty fees or charges – we’re open and transparent. You can apply for a loan the same day you join. Enjoy piece of mind on borrowings and savings at no cost to you. We are a not-for-profit organisation owned by you our members. Your helping your local community when you become a member. Looking to join the kids up? All we require is Official I.D. (Passport or Birth Certificate), Proof of address dated within the last 6 months (Proof of parent’s address e.g. utility bill, bank statement) and Child’s PPS Number on an official document (Medical Card, European Health Insurance Card or letter from Social Welfare). A Parent or Guardian may sign on the child’s behalf if they are under 7 years of age. If over 7 years, the child must be present in the office to sign the membership application themselves. To service the financial needs of your community, on a not-for-profit basis, and to retain members’ savings in your community for the benefit of all the members. Who runs First Choice Credit Union? First Choice Credit Union is run by a voluntary board of directors who are elected by members at First Choice Credit Union AGM. To be considered an active or full member you must have at least €10.00 in your share account. A common bond defines the area within which the credit union can operate. 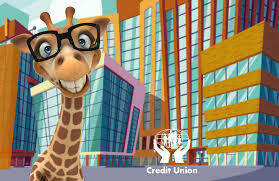 People living or working within the common bond are eligible to join the credit union. What exactly are Credit Union Shares? All savings are called Shares in First Choice Credit Union. Each share represents €1 in value. So if a member has €20,000 saved, they in effect, hold 20,000 shares. Each year-end, the credit union pays a Dividend on the shares held by each member throughout the year. This dividend is credited into the members share account. Do I have to save? Members are encouraged to continue saving at all times, even when repaying a loan. When you save on a regular basis no matter how small the amount, you will be surprised how quickly your savings/shares can grow. Remember your savings/shares and your loan are protected by Loan Protection/Life Savings Insurance (LP/LS) at no extra cost.